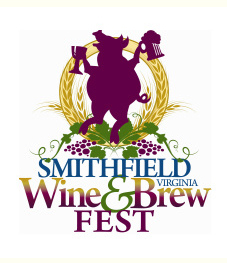 Enjoy a huge variety of beer and wine, live music, great food, and much more at the Smithfield Wine & Brew Fest. The event is held annually at Windsor Castle Park and is for adults only. The scenic setting of the park, combined with all of the wonderful food and drink offerings, make this the premier spring event in Hampton Roads.